Nowadays, with many genres of games for smartphones out there, it can be really difficult to choose a game that is fun for playing and offers high-quality challenging gameplay. What if there is a game that offers you to shoot, solve puzzles, and bubble pop all in one gameplay? Well, there is that kind of game. We did our research and we discovered one amazing game that offers you this – Jelly Crusher. Let's discuss about it. 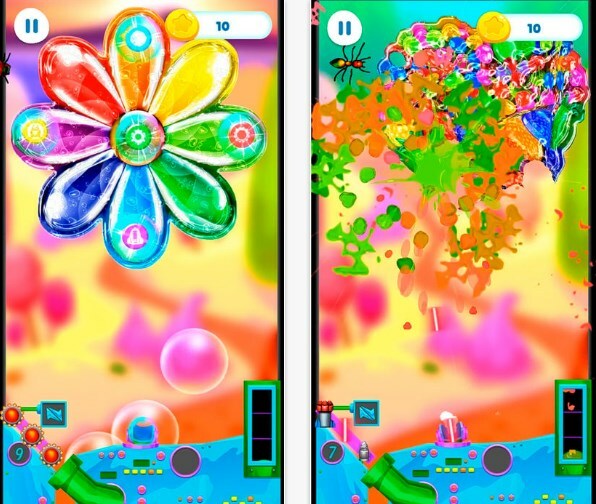 A combination of puzzle and arcade game, this jelly crush game is offering the users to have endless fun in the challenging levels and missions, destroying all the jellies, candies and deserts in the Sweetland. Developed for both android and IOS users, this game is created with high-quality graphics and amazing sound effects for every popping and crushing jellies. The users need to act fast, crush jellies and be precise becoming the ultimate Jelly Crusher and completing all the levels as fast as they can. On this pop puzzler, the users can enjoy the entertaining and challenging gameplay, crushing jellies in many levels and missions. The game is keeping the players always interested, giving them different missions for completing. The users just need to control the arrow, choose the strength and length, and release the arrow for crushing the jellies as fast and as precisely as they can. In every level of the Jelly Crusher, players must collect coins that can be used for purchasing powerful weapons. The pop game is offering weapons like boomerangs, thunders, bubbles, and many others that must be used wisely for crushing the jellies quickly. Every shot the user makes is important, so the user needs to be fast and precise to complete all the levels and missions in the Sweet Land. Download the game now on Google Play and App Store for free.